In our last blog post we mention Sharon Audubon as a terrific place to hike and view the fall foliage, but the Audubon Center itself deserves so much more attention that just a brief overview. Clement and Keyo Ford donated their estate to the Audubon in 1961. They envisioned a future where their property, then known as Bog Meadow Farm, would serve as an educational nature center for everyone to enjoy nature. The Hal Borland Room in the main building is a tribute and memorial to the writer who wrote editorials for the New York Times, he formerly wrote for the Times for 6 years as a staff writer, prior to becoming a editorial contributor in 1941. He was a well-known American author, journalist and naturalist, whose editorials about the outdoors was very well known. He wrote for a variety of publications over the years, and his editorials about the outdoors was later compiled into two books. The room includes photos, his books and typewriter. 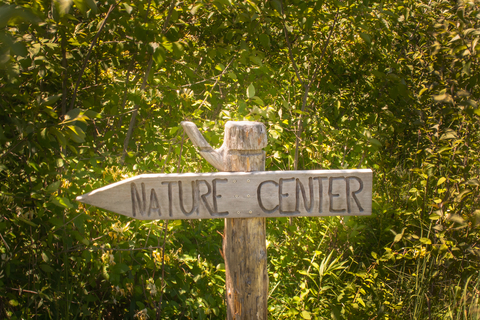 The Emily Winthrop Miles Wildlife Sanctuary was originally owned by Emily Winthrop Miles, a poet, writer and artist. Much of the inspiration for her large body of work come from nature. She donated the land, 740 acres of it, to the National Audubon Society in 1962. The property now covers over 1,500 acres surrounded by over 5,000 acres of protected open space. The sanctuary still honors her legacy with visitors being able to visit the building, see her sculptures, and hike and walk the surrounding land. 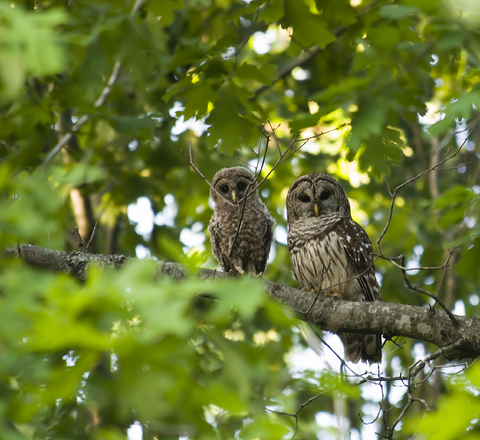 The Center operates a wildlife rehabilitation program which currently houses over 20 non-releasable birds, more than 16 different species of avians. The birds primarily reside in large, outdoor aviaries, with birds such as owls, hawks and falcons that are filled with as close to their natural habitats as possible. The aviaries are a short walk from the main building. The Main Visitor Center offers a refuge for animals that cannot be released into the wild mainly because injuries would prevent them from surviving on their own. It also includes a reptile center whose residents were either former pets who’s care became unmanageable for their owners, or like many of the birds, ones that could no longer live on their own in the wild. Every year the Center admits and cares for hundreds of wild animals to their rehabilitation center with the long-term goal of releasing them back into the wild when they are able to take care of themselves. The Sharon Audubon Center consists of 1,147 acres of mostly forest and includes 11 miles of trails and two ponds. The main Visitor Center building houses a small hands-on natural history museum, the Audubon Nature Store, and the Children’s Adventure Center. The immediate grounds include Raptor Aviaries, the Herb Garden, the Eleanor Loft Bird & Butterfly Garden, and a working sugarhouse (formerly an ice house). The Visitor Center & Nature Store are closed Mondays and All Major Holidays. If you are in the area and staying at the Inn, the Center is a wonderful place to check out, the Center has things for all ages. Tuesday – Saturday 9:00 a.m. – 5:00 p.m. Sunday 1:00 – 5:00 p.m. This entry was posted in Area Attractions, Things to Do and tagged Emily Winthrop Miles, Hal Borland, Sharon Audubon Center by Sandy. Bookmark the permalink.